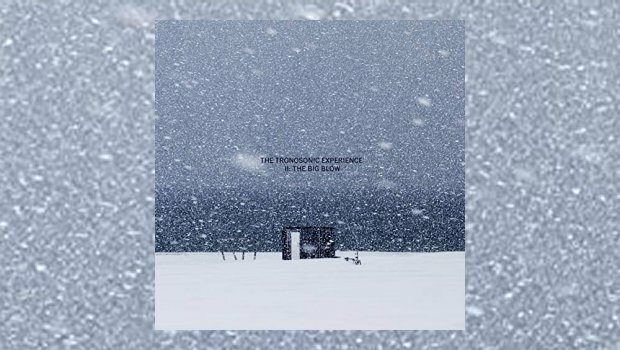 The Tronosonic Experience, from Oslo in Norway, return with their second album, their first release on the excellent Apollon Records. The band’s music is inspired by avant garde jazz artists of the Sixties and Seventies progressive rock bands, sounds which they further embellish with their own dark and sometimes punk edge to create a very satisfying instrumental listening experience. On their Facebook page their interests remains “fly fishing”, as when my fellow TPA writer Roger Trenwith reviewed their self-titled debut album, the band also listing artists they like, some of which I think have influenced their music, such as King Crimson, John Coltrane, Sun Ra, Black Sabbath, Miles Davis and Charlie Mingus, to name but a few. Most of the album was initially composed by bass player Per Harald Ottesen, the music then arranged by the other members of the band, each member’s input helping to create an organic sound. The band relocated to the remote Norwegian island of Giske, on the county’s west coast, to use the Ocean Sound Recordings studio. Here they recorded live to tape, engineered by Henning Svoren. This live sound works exceptionally well, delivering the energy and power of the performances across the nine tracks for a very satisfying forty one minutes. The band have clearly evolved and refined their sound on this album, demonstrating the direction their music is likely to take. The Big Blow is an imaginative piece of work, which finds its direction following on from their first. There is some great low end, deep rumbling bass with free flowing melodic saxophone, intercut with wild, unrestrained stabs. New drummer Jango Nilsen plays an important part in forming the sound here; the rhythm section provides some great and really solid grooves which allow room for the saxophone and guitar to explore the sounds and melodies. The opening track title track begins with an almost halting guitar which is joined by short bursts of rolling drums before the whole band join in to take you on a joyous musical ride. The music on the album is varied, some harder tracks with others giving a slow evolving groove, they also explore soundscapes to great effect on Voyager Parts 1 and 2. Part 1 builds and develops into a kind of free form jam, yet holding a firm direction, while Part 2 then moves into a quieter soundscape to complete the listening experience. The whole album ends with, Lost Highway, a gentler, more thoughtful piece that wraps things up nicely. Overall, this is a great album, the band are a perfect fit together, their individual playing enhancing the album’s organic live feel. A great listening experience with some inventive sounds, it’s available on CD and limited edition transparent blue vinyl.